CENFIM is a furnishings cluster and an innovation hub. Its mission is to promote furnishings and home interiors companies competitiveness by innovation, cooperation and training. CENFIM was created in 2006 as a non-profit private organisation. The board is composed by the wood and furniture association of the 4 Catalonia’s provinces, Catalan Wood Confederation, city council of La Sénia (city where the main Catalonian furniture sub-cluster is located), University Rovira i Virgili (Tarragona) and ACC10 (Centre for Innovation and Business Development), an autonomous body of the Ministry of Innovation, Universities and Enterprise. 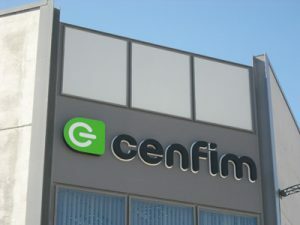 CENFIM staff is composed by 10 employees and has two branches (La Sénia and Barcelona). CENFIM main activities are: Collaborative projects among companies, R+D+I Projects (experience in coordinating and participating in EU projects: H2020, Erasmus+), continuous vocational and training, services provision to companies. CENFIM is recognized as vocational education and training provider by the Catalan Occupation Service (SOC) to train certified courses. It has a continuous activity (more than 800 training hours in 2016) in training courses for workers and unemployed (public & private founded). CENFIM has performed furniture sector skill needs studies financed by regional founds and European Commission in three areas: management, design and digital skills. Training activities in CENFIM are ISO9001:2008 certified (Nr. FS 593472).